As a local Wake Forest CPA firm, we can help you get the most out of your QuickBooks software. Whether you're still in the research phase and need to know which version of QuickBooks is right for you or already have existing data that needs cleaning up - Sarika CPA PLLC can help. As Certified QuickBooks ProAdvisors, we have the knowledge and experience you need when setting up QuickBooks, training staff, processing payroll and more! If you're thinking of incorporating QuickBooks into your business, need data clean up assistance, or training for in-house bookkeepers, call Sarika CPA PLLC today at 919-395-5113. If you haven't yet decided on a software version, Sarika CPA PLLC will work with you to evaluate your accounting and bookkeeping needs to determine the best version of QuickBooks for your particular business. 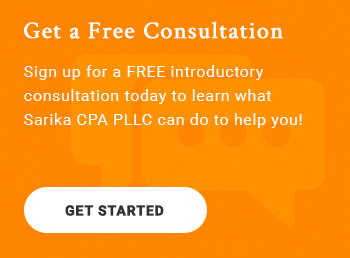 Whether you need one time advice or ongoing support for questions and troubleshooting, Sarika CPA PLLC can assist you. Many of our clients prefer our ongoing support and the comfort of knowing we are only a phone call away. We also offer periodic review and analysis of QuickBooks data/files. 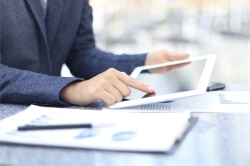 Want to learn more about our QuickBooks accounting services? Give us a call a 919-395-5113 or complete this form to request a free consultation today!